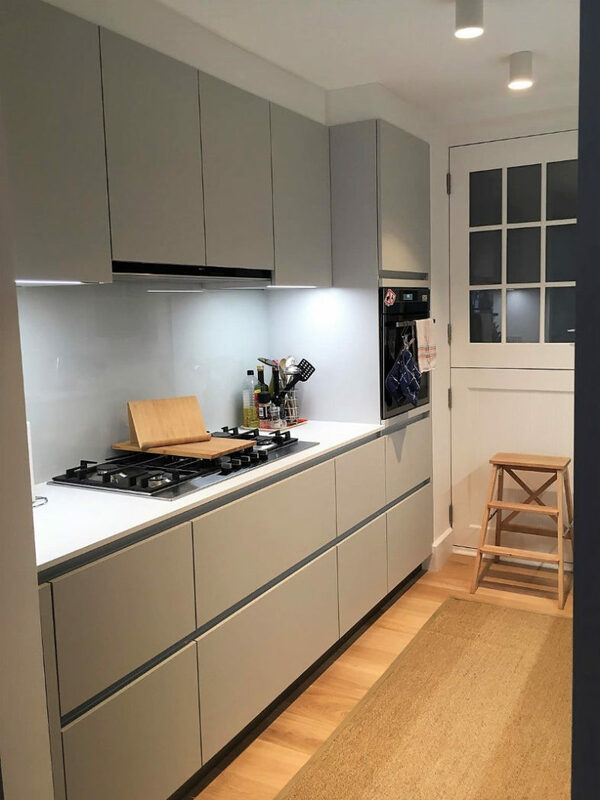 Crystal grey high gloss lacquer finish from our C range. 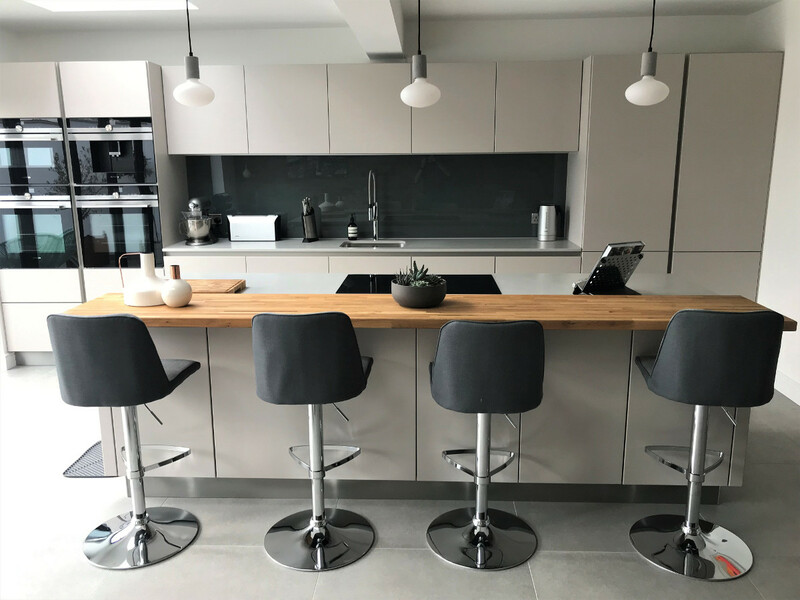 The design features an integrated microwave in a wall unit, of which there are two different heights throughout the kitchen, 780 mm and 520 mm. The worktop is Schuller’s own laminate 39 mm in Slate dark anthracite. 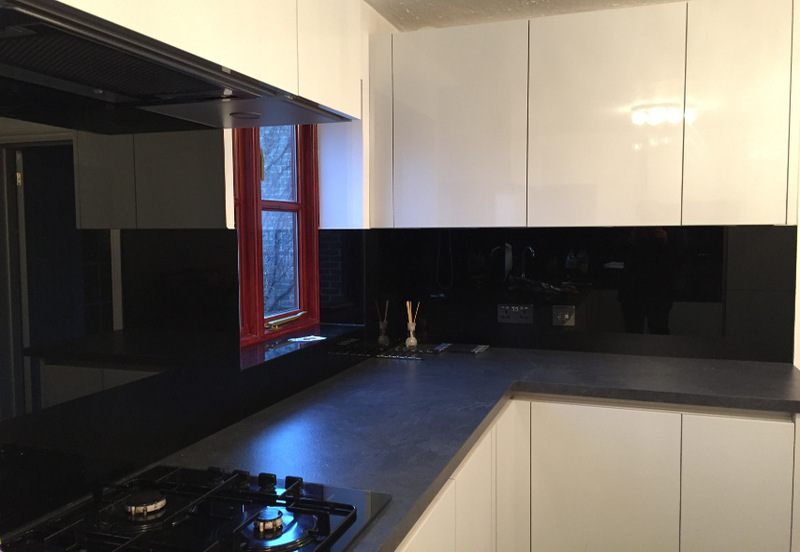 The splashback is black painted toughened glass. 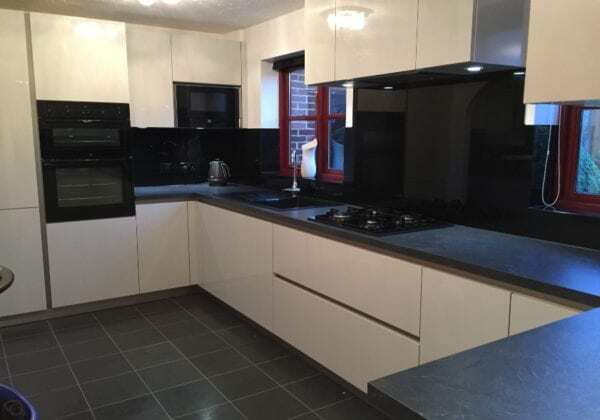 We’re delighted with the kitchen, and I’ve attached some photos. We’ll be in touch again when the utility room boiler is to be replaced so that the new one can be boxed in out of sight. With thanks and best wishes to the whole team at KDC.